The 550 Baton Ring Snap from Aker is a convenient baton carrying system for law enforcement officers. It attaches to the belt using a set of reliable snap fastenings for hands-free waist-level carry, allowing you to keep an extra self defense option close at hand at all times. 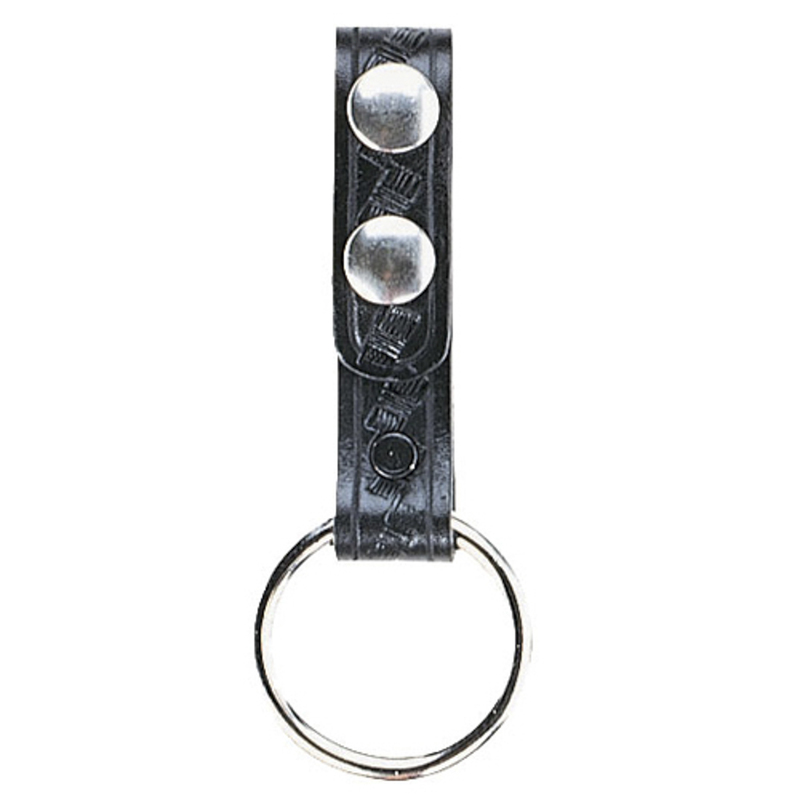 The strap is made from premium black cowhide, and is available in a plain or basket-weave finish. The choice of materials makes it extremely durable and wear resistant, perfect for resisting the stresses of law enforcement use. The sturdy metal ring fits a straight baton.